Is eBay Down...or Is It Just You? Picture the scene: You've been bidding on an eBay auction that's only a few hours away from ending. You have the leading bid, but as you check to see if you're still on course to win, you discover you can't access the relevant pages on eBay's website. Is there a problem with your computer, or is eBay down? Here's what to do to find out. 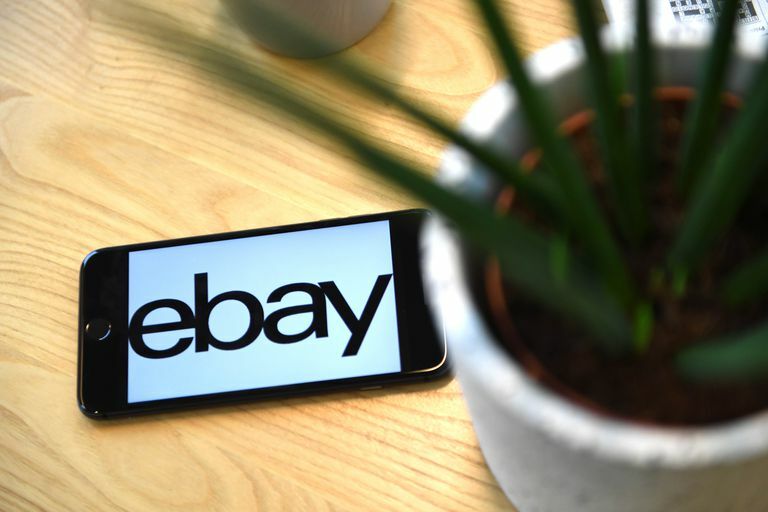 If the problem lies with you rather than with eBay, this information covers the steps you can take to rectify the situation. Assuming you haven't already seen an error message on the eBay website or app, the quickest way to check whether eBay is down is to take a look at its System Status page in a web browser. Go to the eBay System Status page in a web browser or type eBay system status into the address bar or a search engine to locate it. After the System Status page loads, you are presented with a table displaying the nine functions, each of which has one of three symbols next to it. When the site is working correctly, each function has a green check mark in front of it. However, if any one of the site's services is experiencing intermittent disruptions, you'll see a blue Information (i) symbol next to it. In the case of a complete eBay outage, you'll see a red exclamation mark (!). That's it. If you see a blue i or a red !, eBay is down. If you see all green check marks, eBay is probably up, although there are other places to check. Go to the eBay System Announcements page or type eBay system announcements board into the address bar or a search engine to locate it. You may see announcements, or you may see There are no announcements, in which case, eBay is most likely up and running as usual. The eBay System Status screen is accessible by entering eBay system status into the address bar or a search engine to locate it. It is simple to access eBay's System Status and System Announcements pages, but they are not always up to date. Outages and disruptions can impact eBay's ability to report site issues, and eBay may also be slower than its users in detecting such issues and reporting them. Even when eBay itself shows its website is running smoothly, there's no need to conclude your computer or smartphone is the problem before you check with eBay's own discussion boards and other sites that track outages. The eBay discussion boards are rich sources of user-generated information regarding eBay and its operation. Often, when eBay experiences technical difficulties, multiple people post about it. Scroll to the bottom of the screen. Under the Community subheading, select Discussion boards. Hover the mouse cursor over Discussions near the top of the screen that opens. Under the Inside eBay subheading, select Technical Issues. If you can't access the eBay homepage, go straight to the Technical Issues forum. Scan the forum posts for any mention of technical problems eBay may be experiencing. As an alternative, you can try one of the third-party status-checker websites that are available on the web. These include Downdetector, Down For Everyone Or Just Me, Is It Down Right Now?, CurrentlyDown.com, and Outage.Report. As with status updates provided by eBay itself, these aren't infallible sources of information, but they give a good indication of whether a particular website is experiencing disruption. It isn't possible to check eBay's status using the mobile eBay app, but you can using a web browser on your mobile device. Type eBay system status into a browser address bar to display the current system status, or enter eBay system announcements board to go to the eBay Community where you can view the latest announcements or search of all announcements. Assuming the above methods haven't helped you pin the problem on eBay itself, the most likely conclusion is your device or connection is the cause of your difficulties. Fortunately, you can do a number of things to resolve the problem and use eBay as normal. Use another device. Use a smartphone or tablet (or your computer if you've been using a smart device). If you can't access eBay through your computer's browser, try using the eBay app on your handheld device. You can also try accessing the eBay website through the browser of your smartphone or tablet. If either of these options works, you've confirmed the problem lies with your computer, and you can take one or all of the steps below to resolve the issue. Close your browser and all of its windows or close the eBay app on your smartphone. Wait a minute or so and then open the browser and try accessing the eBay website again. Clear your cache. If you're accessing eBay via a web browser or with a smartphone, clearing your cache can resolve many website-related problems. Run an anti-virus program. EBay is a popular website that attracts a fair amount of malicious software, which can interfere with how a website operates on your device. Scan your computer for malware. Restart your computer or device. A restart may be a cliched cure-all, but this simple option can be surprisingly useful in cases where other websites aren't loading normally for you. Restarting frees up RAM memory and closes background apps that sometimes prevent websites from running properly on your computer. Check your internet connection. Even if you can load other websites besides eBay without any problem, it's still worth checking your internet connection to see if something's up. In rare cases, it might also be worth changing the DNS servers you use to access the internet.